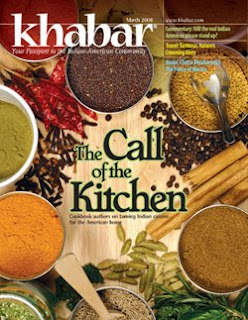 I recently worked on a cover story for Khabar, a monthly Indian-American magazine published from Atlanta. Titled The Call of the Kitchen, the article includes interviews with cookbook authors like Suvir Saran, Ammini Ramachandran, Niloufer King, Monica Bhide, Pushpa Bhargava and our own foodie bloggers like Nupur of One Hot Stove and Indira of Mahanandi. A few weeks ago, I was pleasantly surprised when Sheena Simpson of Melissa Libby & Associates contacted me. They represent several food-related organizations, and she offered to send me a couple of spice and ingredient samples for review. I readily agreed to this great offer, and in a few days my box arrived. It was Spice Basics box from TSP Spices. 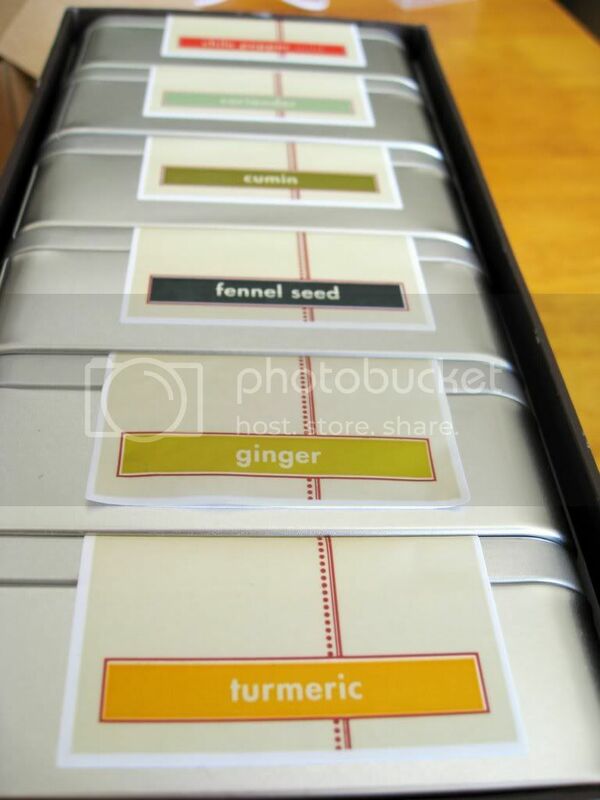 It was a beautifully packaged box with six tin boxes - turmeric, chilli (mild), cumin, coriander, fennel and ginger powder. 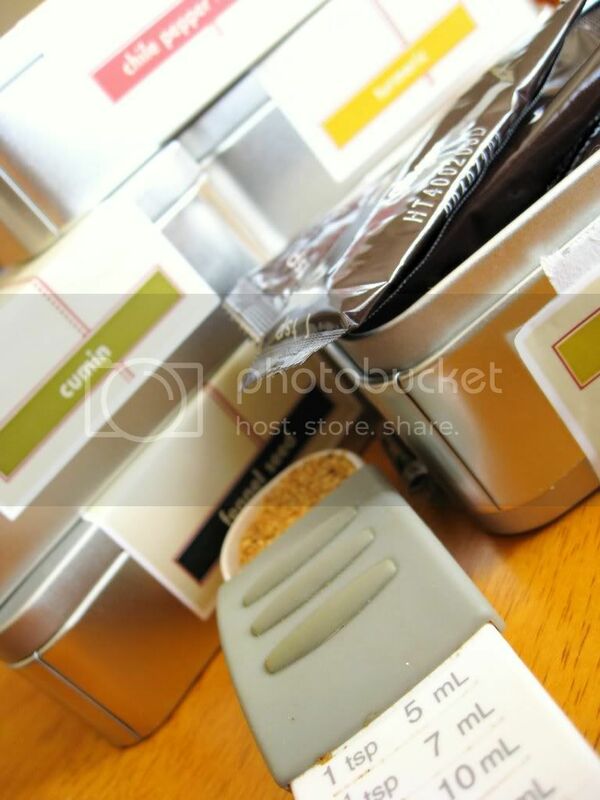 Each spice came in its own tin box, carefully put in one teaspoon packets. The back of each box explained the spice flavor and even suggested pairing options for it. Let me tell you, I am already thinking about my Christmas gifts! Before I cooked up a storm with the spices, I took a peek at the company history and mission. Tsp Spices was started by Katie and Sara when they found themselves at turning points. 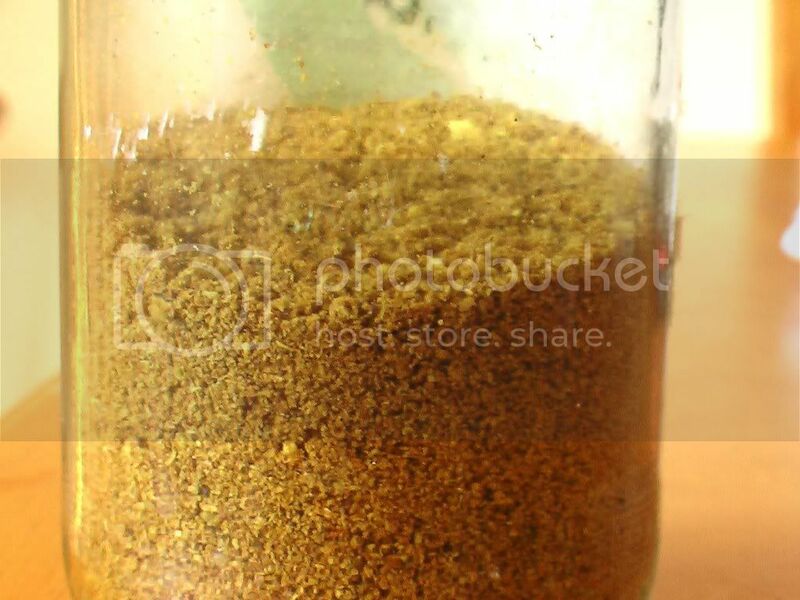 Their website has information on spices, recipes and factoids. It is also well designed and informative. The star of the company, undoubtedly, is the spice collection and the best part about the spice collection is that everything is organic. I decided on two recipes using spices from the box. 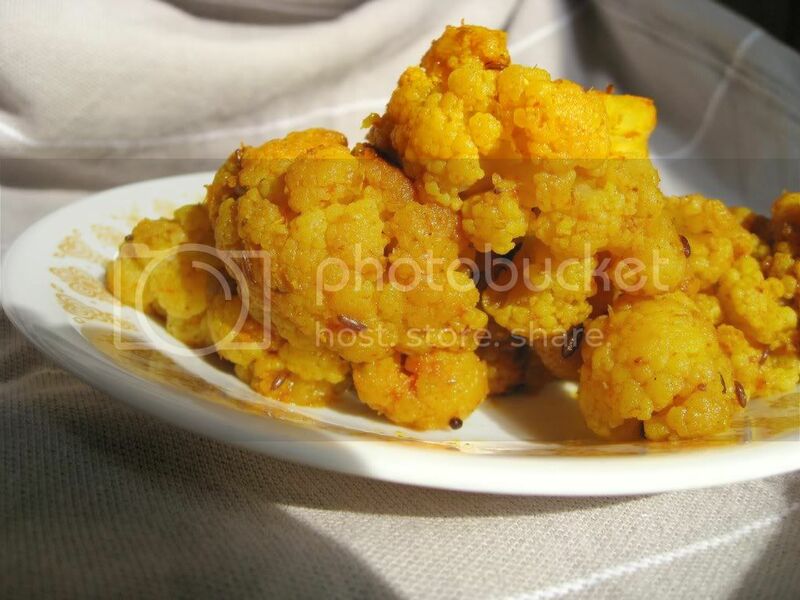 The first thing I made was a simple cauliflower stir fry which brought out the spices and gave the cauliflowers their beautiful color too! The only other spices I used were mustard seeds and cumin seeds to temper the oil. Heat the oil and temper it with mustard and cumin seeds. Then add the cauliflower and stir-fry for a couple of minutes. Then add the ginger powder, turmeric powder, chilli powder, coriander powder, salt and mix it together. Add a little water (about 2 tbspoons) and cook closed lid on medium heat for 7-8 min till the florets are cooked. This is my entry for A Taste of Yellow hosted by Barbara of Winos and Foodies. Thanks Barbara. To see my last year entry click here. The second thing I made was a spicy fish fry. I mixed the spices in soy sauce and marinated the fish for 2-3 hours. It was just delicious! Mix all the spices in soy sauce and make a paste. 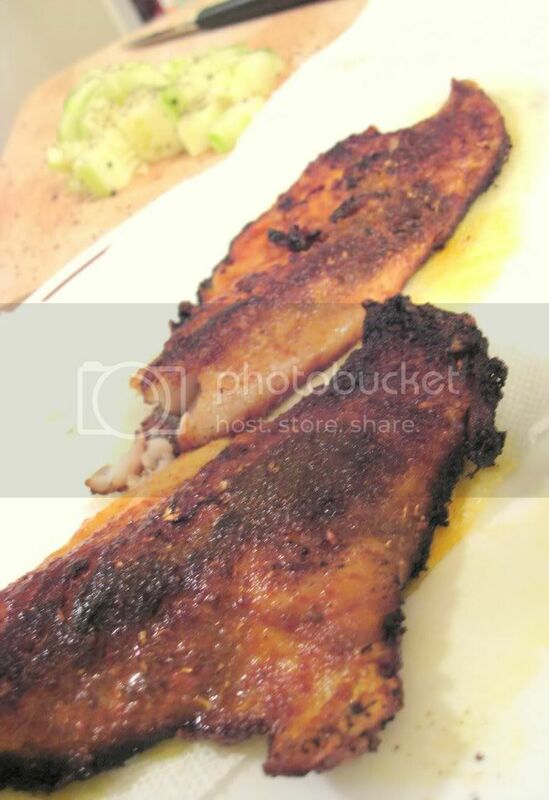 Marinate the fish fillets with the paste and marinate the fish for 2-3 hours. Heat oil in a pan and shallow fry fish in a pan, about 2-3 minutes on each side. Serve warm. We enjoyed ours for dinner with cucumber salad. I was thrilled when Nupur of One Hot Stove wrote to me about being a part of the Arusuvai Friendship Chain. The mystery masala came with a lot of other goodies - delicious caramel, chocolate and nuts brittle, a cute souvenir keychain and a beautiful hand-made card. Everything looked and tasted absolutely great. Thanks Nupur! Arusuvai Friendship Chain was started by The Yum Blog and Bhags and Bharati where bloggers send "mystery" ingredients to each other. Now who can refuse this exciting offer to taste new ingredients and cook with it. Now back to the mystery ingredient, as soon as I opened the masala packet, I could immediately smell the coconut and the cloves in the masala. Hmm, what could this be? So I did my little research and was confident that it was Kolhapuri Masala. 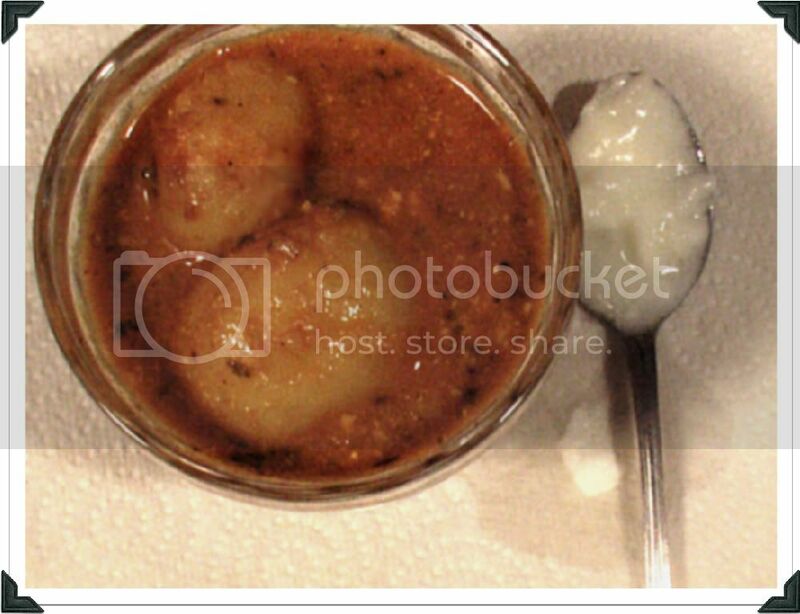 I wrote to Nupur, and guess what, it wasn't Kolhapuri Masala. It's Goda Masala! 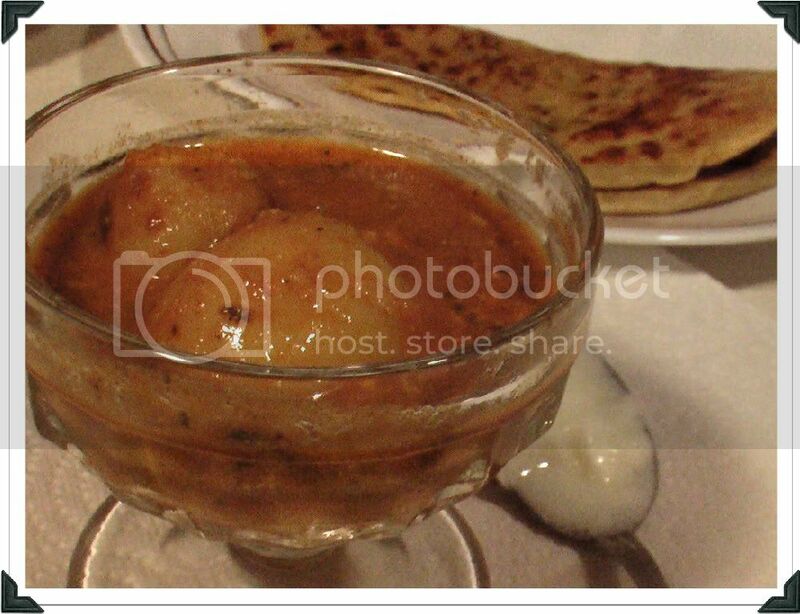 Almost immediately, I wanted to make something using the masala. It was the middle of the week, and let's say choices were limited. 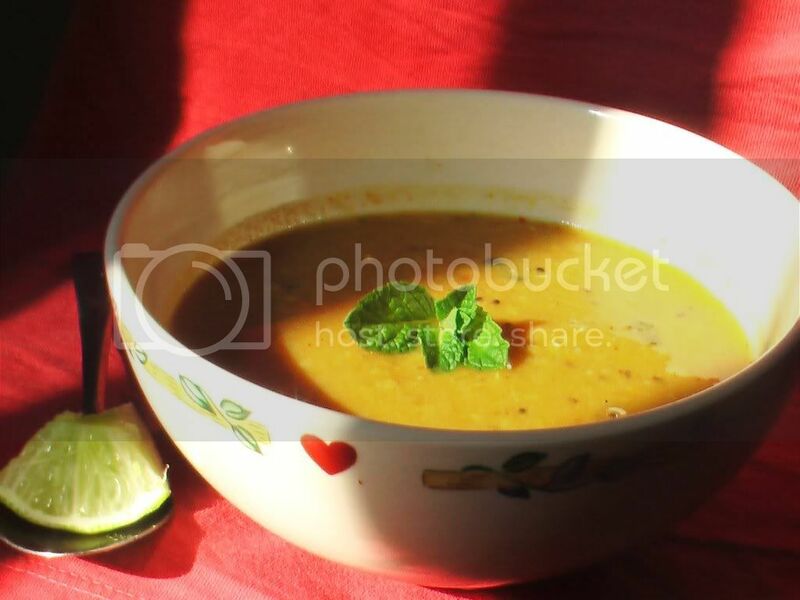 I opened the refrigerator and took out the lentils, butternut squash puree and decided to make a simple soup using the masala. About the flavors, I was delighted by the combination. 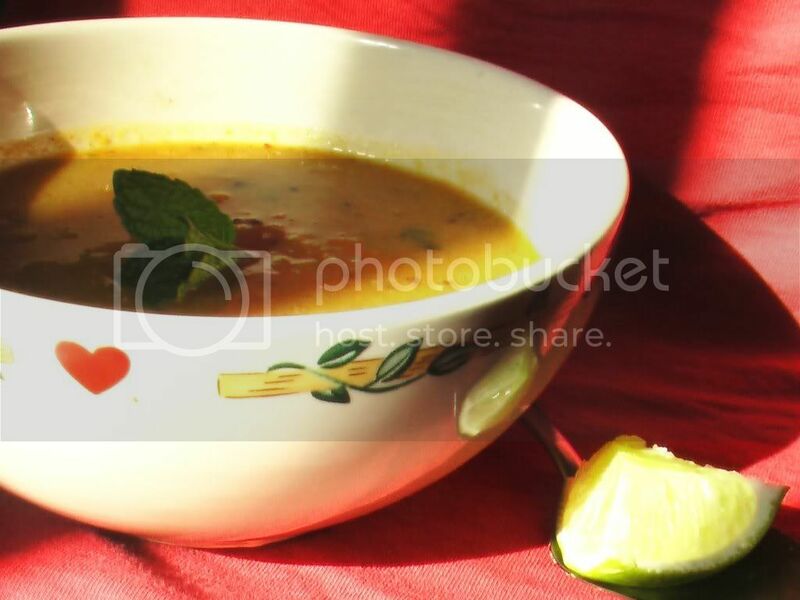 The sweetness of the squash when combined with coconut, cloves, dagad phool, sesame seeds spice mix gave the soup a delicious, delicate flavor. 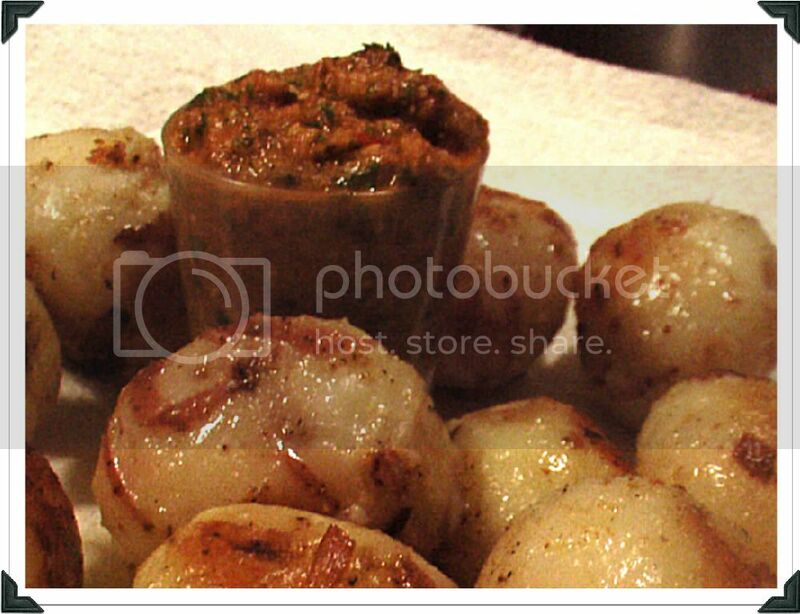 Alternatively, one can always mix a little rice in the soup and make this into a complete meal. Heat the oil in a pan and temper it with mustard seeds and red chilli. Then add the lentils and cook it for a couple of minutes. Then add the butternut squash puree and add water as needed. Add turmeric powder, salt and goda masala and let it cook for 4-5 minutes till everything mixes well.